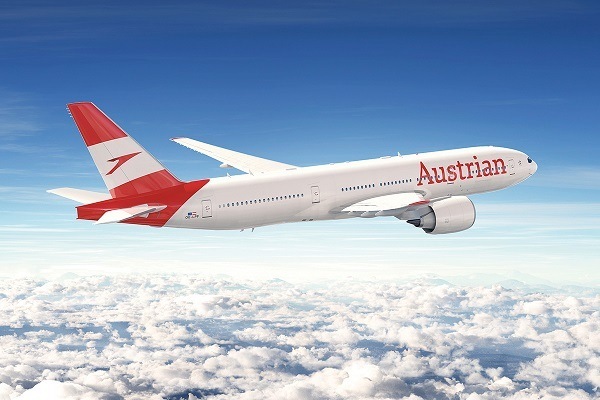 Fly with Austrian Airlines to the very heart of Europe – Austria. Explore the expansive palaces and museums of Vienna, a historic jewel of European arts and culture. There you can even tour the home of Mozart – the Mozarthaus – where Austria’s most famous historic composer once lived. The city is also home to Belvedere Palace, one of the finest examples of Baroque architecture. Pay a visit to the Austrian Alps at Innsbruck or Salzburg for some fantastic sightseeing or winter sport. With its huge castles perched atop mountains, to the vibrant nightlife of its modern cities, Austria offers charm and excitement in equal portions. Let Austrian Airlines take you away to majestic Albania. Discover the history of a civilisation that dates back into antiquity, replete with remnants of the past. Explore the Greek and Roman ruins that dot the countryside, and take in the looming mountains that cut a beautiful backdrop across the Albanian skyline. In Tirana, Albania’s capital, you’ll find a blend of the old world and the new, featuring Mediterranean cuisine, exciting nightlife, and more. The waters are warm and the beaches sunny along the coast. From Shkoder to Saranda to the lakeside town of Pogradec, there’s something in Albania for every traveller and every interest. Plan your next visit to Armenia and fly with Austrian Airlines to a holiday destination unlike any other. In this scenic Caucasus country you’ll discover ample opportunity to explore a breathtaking landscape. Experience some of its most historic sites, including the capital, Yerevan – one of the world’s oldest cities. Take a drive through the countryside, stopping at the numerous ruins and ancient sites that dot the landscape. Enjoy unique Armenian cuisine in cities such as Gyumri or Vagharshapat. Why not pay a visit to the beaches of Lake Sevan for some sun and relaxation? No matter your inclinations, Armenia makes for a travel experience to remember. Beautiful Belarus – an Eastern European nation with a fascinating past. Pay a visit to the Puszcza Białowieska, one of Europe’s last remaining primeval forests, or see the elegant castles in the cities of Nesvizh and Mir. Stroll through the streets of Minsk, the nation’s capital, touring sites such as the iconic Independence Square, the National Opera and Ballet Theatre with its unique architecture, or the Church of Saints Peter and Paul. Taste the excellent local cuisine, including draniki – the national dish. So come fly with Austrian Airlines and prepare for a holiday destination unlike any other. The lovely Benelux country of Belgium is far more than just fantastic cheese and chocolate. This centre of European culture and history is home to a wealth of modern cultural and historical sites in equal portion. Visit the nation’s capital of Brussels, where you’ll find sites such as the European Union, Commission, and Parliament buildings, or if history is more to your liking – the Grand Place of Brussels and its numerous art and history museums. Spend a weekend exploring the Flemish capital of Bruges with its beautiful canals and historic buildings such as the Provinciaal Hof., Dweersstraat, or the medieval Kruispoort gates. Fly with Austrian Airlines and discover all of this and far more in beautiful Belgium. Treat yourself to a unique holiday in Bosnia and Herzegovina with Austrian Airlines. Discover the magic of Sarajevo with its modern nightlife or explore the scenic towns spread throughout the countryside such as Mostar – a traditional town full of old-world architecture and the Old Bridge – a UNESCO World Heritage site. Walk beneath the walls of some of the most impressive castles in the West Balkans, including Pocitelj Citadel, and Ostrozac Castle. Despite only having 20 kilometres of sea coast, the views of the Adriatic and opportunities for swimming and sunbathing are second to none in the small town of Neum. Take to the skies with Austrian Airlines to the Eastern European nation of Bulgaria! Explore the beautiful metropolis of Sofia with its mountainous backdrop and stunning architecture such as St. Alexander Nevsky Cathedral and countless museums dedicated to history, art, ethnography and archaeology. With its beautiful Black Sea resorts, finding some time for sun and sand is easy. Go for a hike in the Rila Mountains, and pay a visit to the Rila Monastery, one of Bulgaria’s most popular historical attractions. Taste unique Bulgarian cuisine such as banitsa, ayran, or kozunak sweet bread, and enjoy the atmosphere of the cities’ many cafes. From the sandy, sunny Dalmatian beaches and resorts to the snow-capped Dinaric Alps, Croatia is a truly gorgeous country to behold, and with Austrian Airlines you can come see for yourself. The coastal cities of Split and Dubrovnik are spectacular, charming old-world sites for lovers of history and archaeology, and the cuisine is second to none. To top it off, Croatia is one of Europe’s finest wine growing regions. The city of Rijeka, home to Croatia’s tallest skyscrapers, boasts vibrant city life. Inland lies the small city of Karlovac, which features many relaxing parks, and is home to Dubovac Castle. Pack your bags and come stay a while in one of the most beautiful countries in the world. For your next holiday getaway, consider the beautiful Mediterranean island of Cyprus. With a unique culture that wonderfully blends its Greek and Turkish roots together with influences of other cultures around the world, you’ll find art, architecture, ancient historical sites, and cuisine unlike any other. The island nation is dominated by two mountain ranges – the majestic Kyrenia and Troodos Mountains, where despite the warm Mediterranean climate, you can still find opportunities for winter sport. Experience a vibrant social scene in Nicosia, the nation’s capital and largest city. Don’t forget to catch some rays at any of Cyprus’ beaches, and expand your palette with regional delicacies such as halloumi cheese or sheftalia. Fly with Austrian Airlines to the Czech Republic – one of the most breathtaking countries and tourist attractions in Central Europe. The capital city of Prague is a hotspot for travellers the world over and is home to such sights as the medieval Charles Bridge and Old Town Hall and Square. However, Prague has far more than just historical sites, also claiming an ultramodern streak that is perhaps demonstrated best by architecture such as the Dancing House. Outside the city, the Czech Republic boasts an otherworldly beauty punctuated by rolling hills and meandering rivers, featuring countryside castles such as Kasperk Castle in the Bohemian Forest and the legendary Karlstejn Castle. Experience Denmark like never before with Austrian Airlines. A progressive Scandinavian country with a long history, Denmark has been impressing travellers with its diversity of activities and experiences since time immemorial. Visit the capital, Copenhagen, for a perfect blend of old world charm and the ultramodern. Historic sites such as Frederiksberg Palace contrast with modern structures such as the Copenhagen Opera House and the Black Diamond. Take a train to Aarhus or Aalborg on the Jutland Peninsula, or pop down to Billund and check out the original world-famous LEGOLAND – a fantastic experience for the entire family. With so much to do, Denmark may require more than one visit – and when you want to return, Austrian Airlines is ready to help. France is the number one tourism destination in the world and Austrian Airlines wants to help get you there so you can see why. From the lifestyle and Eiffel Tower in Paris to the stone houses of Brittany, and the relaxing, sunny French Riviera in the South, France can claim a diversity unlike any other country. Sample fine wines in Bordeaux, go shopping in Lyon, or tour the medieval castles that dot the Loire River Valley. French cuisine – renowned worldwide – is not a single style, with each region claiming its very own unique dishes and culinary traditions. France is a must-see destination for anyone’s bucket list, so what are you waiting for? Germany’s capital, Berlin, is indisputably Europe’s capital of cool. In the summer you can relax on one of its many ‘urban beaches’, enjoying a DJ set and perhaps a game of volleyball. In Munich, Germany’s economic southern powerhouse, fun comes in a more boisterous form. It hosts a yearly Oktoberfest, where you can sample local beer and sing along to folk music with 30,000 revellers in a single tent. Frankfurt is a business-like city. With its towering skyline, it is one of Europe's financial hubs. But a tower of a different kind dominates the city of Ulm. At 161.5 metres, its gothic Minster is the tallest church in the world. Since the time of Homer, Greece has been wedded to the sea. Its territory includes a galaxy of islands, each with a distinct character. There are peaceful family hideaways, vibrant party destinations and sites of historical interest. The largest island, Crete, was home to Europe’s first urban civilisation, the Minoans. The vast cellars of their mysterious palaces spawned the myth of the terrible Minotaur in its labyrinth. Later Greek civilisations created such splendours as the Athens Parthenon and the temple of Apollo in Delphi, known to the ancients as the ‘navel of the world’. And in the Christian era, Greece has given the world a host of beautiful churches and monasteries. Discover Hungary with Austrian Airlines from the thermal lakes to the blend of Eastern and Western architecture and the rolling hills and meandering rivers. Budapest, the capital, awaits with its endless attractions that range from cafes to stunning architectural wonders such as Buda Castle and the bridges that span the Danube. From Budapest, it’s easy to reach some of the other beautiful sites around the country including Lake Tisza and Lake Balaton – the largest lake in Central Europe. Other attractions include the city of Pecs, Eger Castle near the city of the same name, and the caves of Lillafüred, a charming town also known for its spas. Italy is positively overflowing with cultural riches. A drive or cycle ride through Umbria will reveal stunning medieval towns, perched on improbable hilltops. In the streets and squares of Florence, you can’t help but encounter masterpieces of Renaissance art, including Michelangelo’s David. For a country to have one city as beautiful and important as Rome is fortunate, but to have Venice as well! That is truly a blessing. Both cities are treasure chests of art and encyclopaedias of history. But one of the best reasons to visit Italy is, of course, its delicious food and wine – each region’s cuisine is distinct and perfectly expresses the spirit of place. The small landlocked nation of Kosovo on the Balkan Peninsula is a true oasis of natural beauty with a unique culture and heritage. Let Austrian Airlines get you where you’re going and discover the wonders in store. From the capital city of Pristina, surrounded by rolling hills, with its cultural centres that include the National Theatre of Kosovo, the Natural Archaeology, Ethnography and Natural Science Museum, National Art Gallery and more, lovers of culture, arts and history of are in for a pleasant experience. Outside the cities, the nation features some of the most stunning landscapes in the Balkans, from tall, snow-capped mountains to valleys and lakes that provide endless possibilities for outdoor activities. The Baltic state of Lithuania is the perfect place to spend your next holiday and Austrian Airlines is waiting to help you get there. From the major cities of Vilnius – the capital – and Kaunas, to the scattered towns and countryside castles, the opportunities for sightseeing in Lithuania are virtually endless. Pay a visit to Trakai Island Castle – one of the most popular tourist attractions in the country. Did you know that Lithuania has the highest percentage of hot air balloons per capita? Why not go for a ride over the beautiful countryside or cities, looking down on the sprawling red rooftops? With plenty of coastal territory, Lithuania’s summer months provide the perfect opportunity to head to the beaches along the Baltic for some rest and relaxation. Nestled among the rugged Sar Mountains and Osogovo, lovely Macedonia sits landlocked within its Balkan neighbours. A charming blend of Eastern and Western influences, the small country boasts its own unique culture that when intermingled with the gorgeous landscapes and outdoor activities makes for a truly unforgettable travel destination. In the capital of Skopje you’ll discover sites such as the Old Bazaar, the formidable Skopje Fortress, and the Porta Macedonia. In the Northeast of the country you can find some excellent winter sporting opportunities at Osogovo mountain and its ski resort. Fly with Austrian Airlines and come discover Macedonia for yourself! A colourful past and present, a gorgeous countryside, and cities that fuse the old with the new – the Eastern European nation of Moldova should be your next travel destination, and what better way to get there than with Austrian Airlines? The capital city of Chișinău, located squarely in the middle of the country, is a cosmopolitan centre with plenty of opportunities for shopping, exploring historic sites and, of course, sampling the local cuisine. From Chișinău it is easy to access other cities around the country, such as Tiraspol or Bender in Transnistria to the east. With beautiful scenic landscapes sprinkled with small villages and cut by meandering rivers, Moldova offers those with an adventurous streak plenty of opportunities for trekking through the hills. A land of lakes, Adriatic coastlines, dense forests and rolling mountain peaks – Montenegro impresses all comers with its natural beauty and opportunities for outdoor activities. Visit Podgorica, the capital, and a highly modern centre of contemporary arts and culture with a vibrant nightlife and social scene. For something a bit more historic, the ancient ruins of the town of Doclea are an appealing archaeological site. With considerable beachfront along the crystal blue Adriatic Sea, you can stretch out and relax in the sand or go for a dip in the water. Warm for much of the year, there are few better ways to pass the time than at the seaside town of Ulcinj, dominated by a prominent 2,000-year-old castle. Northern Europe’s Low Countries – The Netherlands – await. Fly with Austrian Airlines and discover Amsterdam and its countless canals and bridges, or Rotterdam, a truly unique city with some amazing modern architecture and one of Europe’s largest ports. Visit the expansive fields of tulips in Lisse, South Holland, or the Peace Palace in The Hague. Netherlandish cities are some of the most bicycle-friendly on Earth, and getting from place to place on your tours of Groningen or Amsterdam is as easy as can be. Delight in delicious cheeses and chocolates, some of the Benelux’s most famous products, while you lose yourself in the culture and heritage of the Netherlands. The Central European country of Poland is a hotspot of adventure, history and culture – and with Austrian Airlines the intrepid traveller will find no better opportunity. In the capital and largest city, Warsaw, you’ll discover an old-world city with plenty of modern flair. A skyscraper-defined skyline intermingles with history in places such as Castle Square and the Wilanow Palace. Visit Krakow, with its imposing towers and cathedral spires. Tour the countryside including sites such as the sprawling primeval forest in the East – some of Europe’s last, or the glorious Tatra Mountains in Southern Poland with their coniferous forest expanses and high mountains. If a new and exciting travel destination is on your holiday list, the lovely Iberian nation of Portugal awaits with its warm sandy beaches, natural beauty, unique culture, historic sites, and more. Let Austrian Airlines help you get where you’re going. Visit Lisbon, the capital of Portugal. Here you’ll find such sites as the Belem Tower, the monastery of Mosteiro dos Jeronimos and the city’s triumphal arch – the Rua Augusta Arch. In the northern part of the country, experience Porto, the home of port wine and beautiful beaches, perfect for catching some waves or relaxing in the sun. Throughout the nation, Portugal has some of the most beautiful countryside in Europe including high mountains, windswept cliffs, and small seaside grottoes. Romania is quickly becoming one of the world’s most popular travel destinations, and a quick glance at the waterfalls, mountainous terrain, elegant cities and historic sites is all you’ll need to see why. Discover Romania with Austrian Airlines and get ready for a trip to be remembered. In Bucharest, Romania’s capital, a unique architecture represents a varied past fused with a contemporary streak. Some of the most popular attractions include Carol’s Park, the Unirea Shopping Center, and The Palace of the Parliament. Visit Constanța on the Black Sea, and spend time basking in the warm summer sun, or visit the Ruins of Tomis. Round off your trip with a tour of the countryside with its many snow-capped peaks, and rolling hills dotted with medieval castles and monasteries. Come away to the Russian Federation with Austrian Airlines and discover the country’s most exciting and intriguing sites and its vibrant culture. Tour Moscow, Russia’s capital, and one of the largest cities in the world. See the Red Square, the Kremlin, the Spasskaya Tower, and the iconic Saint Basil’s Cathedral with its colourful minarets. Travel to beautiful St. Petersburg, and view the enormous Winter Palace or Smolny Cathedral. Visit cities in the Golden Ring such as Yaroslavl, Vladimir, or Kostroma – a popular tourist route northeast of Moscow that traverses the ancient towns and cities that played a formative role over centuries of Russian history. A Balkan nation split between the sprawling grasslands of the Pannonian Basin and the Dinaric Alps, Serbia is a truly magnificent country to behold. Fly with Austrian Airlines and experience this diverse country at the crossroads of the East and West for yourself. From Belgrade to Subotica and Novi Sad, Serbian cities enchant with their old-world charm, historic sites, and mixture of modern, global cultures. In Belgrade, the capital and largest city, explore the city streets and encounter sites such as St. Mark’s Church, the Royal Palace, or do some shopping along Knez Mihailova, the city’s primary shopping zone. Outside the city await such natural wonders as Đavolja Varoš and Tara National Park, as well as Kopaonik, a ski resort in Southern Serbia. Nestled among the soaring Carpathian and Tatra Mountains and defined by a wealth of natural beauty that can be seen in its lakes and numerous national parks, the lovely nation of Slovakia is waiting for the adventurous explorer. With caves such as Gombasek, Domica and the Dobsinska Ice Cave, those looking to get their feet wet as spelunkers will find few better opportunities. For those looking for a more urban adventure, the capital city of Bratislava offers a perfect blend of old world sites and a modern social and nightlife scene. Some of the most impressive sites include Bratislava Castle, Rusovce mansion, and Grassalkovich Palace. Few countries on Earth have more natural beauty to offer than fair Slovakia, so make this holiday destination your next with Austrian Airlines. With its idyllic beaches, Spain is a natural choice for devoted sunseekers. But there are many more sides to this country beyond the holiday "costas". For centuries, Christian pilgrims have travelled overland to the Cathedral of Santiago De Compostela, the traditional resting place of St James. In more recent times, art lovers have been drawn to the galleries of Madrid, home to many iconic masterpieces, including Picasso’s Guernica. In Barcelona, it is the cool vibe and sinewy art-nouveau architecture that visitors are attracted by. But wherever you go in Spain, try to time your visit for a local fiesta, such as Valencia’s fiery street party known as "Fallas". Experience Scandinavia at its finest here in beautiful Sweden. With everything from a rich history and ultramodern cities, to a never-ending supply of scenic locations and opportunities for outdoor activity, there’s something for everyone in Sweden, and Austrian Airlines is ready to get you there. Visit Stockholm, the capital and largest city, where you’ll find the Royal Palace and charming Old Town, as well as modern wonders such as the Ericsson Globe and the Hotorget buildings. In rural Sweden you’ll discover a land of mountains and lakes, with the northern reaches offering some of the most prime aurora viewing in the world. Get yourself enchanted by the abundant natural beauty of Switzerland. The alpine state is a great destination all year round. Whether you want to go skiing in the Alps in winter, go hiking or mountain climbing in the summer or make an inspiring city holiday, Switzerland won’t let you down. Get inspired by the picturesque Old Town of Zurich, find the secret of the Swiss watchmakers in Geneva, make a pilgrimage to the famous Jazz Festival Montreux or enjoy Mediterranean flair in Lugano at the southern rim of the Alps. Going to Switzerland and not buying chocolate? Impossible, get as much as possible for your loved ones at home. Ukraine’s national roots run deep. More than 1,400 years ago, it was an important centre of Slavic civilisation. Subsequently, Kiev played an important role in the spread of Eastern Orthodox Christianity, as the many gorgeously decorated churches bear witness. The humbler but equally attractive wooden churches found in the south-west of Ukraine are evidence of the people’s enduring faith. It undoubtedly helped them through the harrowing events of the 20th century until the country achieved independence in 1991. Since then, Ukraine has been reaching out to the world, recently developing a vibrant outsourcing industry. Explore with Austrian the diversity of Great Britain. In England’s capital London, there is something for everybody, for art aficionados, shopping fans, party people and history buffs. Buckingham Palace, Big Ben, Westminster Abbey and Hyde Park are quite near to each other and can be seen in a short walk. Visit the south of England with the old seaside towns of Brighton and Bath. The venerable university cities of Cambridge and Oxford are just an hour away from London. Go hiking in the Lake District or visit the International Eisteddfod in Llangollen in Wales, a yearly festival of Welsh literature, music and singing. Edinburgh, Glasgow, Aberdeen and Inverness in Scotland are worth a weekend trip, as are the grand Highlands and the serene majesty of Loch Ness. Lights, camera and action – words both metaphoric and literal – perfectly suit picturesque Norway, and when you fly with Austrian Airlines, you’ll be able to see why even before the wheels touch the tarmac. Cruise the fjords that give the landscape its iconic rugged beauty, including Hardangerfjord, the largest, and Lysefjorden – overlooked by the popular Preikestolen. Visit Trolltunga, another famous overlook that juts out high above Lake Ringedalsvatnet, offering a glorious vista of glaciers and mountains. Norway’s capital, Oslo, is the perfect mixture of modernity and history, featuring ultramodern buildings such as the Oslo Opera House. Far to the North, above the Arctic Circle, you’ll experience some of the best aurora viewing on Earth near cities such as Tromsø or Hammerfest. Iran’s capital city, Tehran, is a modern and bustling centre of business and education. Its many restaurants and cafés are full of the buzz of conversation. Winter is a good time to visit, as the city is only a short drive from the ski slopes in the Alborz Mountains. But it is the old capital, Esfahan, that really steals the show. It has two UNESCO world heritage sites – Naqsh-e Jahan Square, which is surrounded by historic buildings and attracts a host of picnickers on Friday evenings, and the Imam Mosque, which is beautifully decorated with the coloured tiles that are so typical of Esfahan. Thanks to the Tigris and Euphrates rivers, many empires have risen and fallen in the region now called Iraq. In fact, some of the features that define civilisation to this day – literacy, law and government – were born in this ancient land. Iraq’s delicious cuisine mainly comes down to us from its medieval Islamic golden age and reflects the fertility of the land watered by the two rivers. Although the language most widely spoken in Iraq is Arabic, Austrian Airlines flies to Erbil in the north, where Kurdish is generally spoken. This city has seen many tumultuous events, including two sieges by the Mongols. Religious pilgrims have been drawn to Israel for many centuries, but even from a purely historical perspective, the ancient city of Jerusalem is one of the world’s most fascinating destinations. In fact, there are many archaeological sites worth visiting throughout the country. By contrast, Tel Aviv is the modern business capital of Israel. Financial institutions and cutting-edge technology companies populate the high-rise city centre. As one would expect, there are a great many bars and restaurants to choose from. Even the city’s immaculate beach is dotted with laid-back nightspots. For excellent seafood in an atmospheric setting, visit the ancient port town of Jaffa, now merged with Tel Aviv. Two thousand years ago, the land that is now Jordan was part of the Roman Empire, and in many places you can see spectacular archaeological remains. There are some fine examples in Amman, including the Roman Theatre and the Citadel with its Temple of Hercules. But Jordan has many layers of history. In the Citadel you will also find a splendid Arab palace and a Byzantine basilica. The desert city of Petra, with its famous rock-carved tombs and temples, is one of the country’s most popular destinations. In addition to historical sites, Jordan offers some exciting outdoor pursuits. How about an unforgettable desert camping trip in spectacular Wadi Rum? The soaring skylines of Shanghai, Beijing and many other Chinese cities are evidence of the rapid economic transformation that has taken place in this country. But the Chinese people are proud of their history, and one can still experience many of the glories of the past. Beijing’s Temple of Heaven is an impressive complex of religious buildings that saw elaborate court rituals played out for more than five centuries. These days, it is a popular location for Tai Chi and simple activities such as singing and playing cards. When you are tired after a day of sightseeing, traditional tea houses provide a peaceful retreat from the urban bustle. The spectacular archaeological remains found throughout Egypt tell a story of civilisation that goes back 5,000 years. The Great Pyramid of Giza is considered a wonder of the ancient world, and the Valley of the Kings is famous as the resting place of Tutankhamun. His golden sarcophagus is now housed in the Museum of Egyptian Antiquities in Cairo. This long cultural flourishing was possible due to the life-giving waters of the Nile. However, it is the crystal-clear waters of the Red Sea that support Egypt’s modern tourist industry. This sun-soaked coastline is a centre for scuba diving, windsurfing and other water sports. Enjoy your Austrian flight to Japan and find yourself in a country of dazzling contrast between futuristic Hi-Tec and a many century’s old culture. In Japans capital Tokyo, the largest metropolitan area in the world, you can dive deep into the crazy Japanese pop culture in the Akihabara quarter, where manga, anime, cosplay and maid cafes are celebrated. A shopping trip to Shibuya for the latest gadgets and a party night in Roppongi are also part of the Tokyo experience. After a visit to the Emperors Palace and the Meiji Shrine, take the famous bullet train Shinkansen and a ferry to Okinawa in the south, a tropical pacific island. Here is the earliest start of the cherry blossom festival, the Hanami. You can follow the spring from south to north and visit Osaka and the old capital Kyoto, both full of historical sights, temples, shrines and castles that made it onto the UNESCO world heritage list. For grandiose landscapes go to the Fuji Hakone Izu National Park with the holy Mount Fuji at its centre. Be sure to enjoy the Japanese kitchen in all its traditional glory that goes far beyond Sushi and Ramen. Visit a traditional Japanese spa, called onsen, which uses only naturally hot water from geothermally heated springs. Enjoy your stay in Japan! Malé is the arrival point for most visitors to the Maldives. Although it is a lively town with a market and plenty of eating places, the majority of tourists transfer by boat to a resort on one of the thousand or so tiny islands. Some are as small as 200 metres in diameter. As you relax on the white coral sand, you could almost imagine yourself marooned on a desert island – a rather luxurious desert island where you can order a cool drink and retire to your comfortable accommodation at any time. For scuba divers, the Maldives are a particularly popular destination, thanks to the crystal clear waters of the Indian Ocean. With Austrian Airlines, not even the sky is the limit and a visit to the beautiful Kingdom of Morocco is sure to inspire and delight. A modern nation built seamlessly on top of the remnants of a long and colourful past, Morocco’s cities are teeming with life and activity. From the northern city of Tanger, a stone’s throw from Southern Spain, to Marrakesh in the South, explore the vibrant bazaars, the decorative mosques and medieval fortresses. Visit the Chellah Minaret in the capital city of Rabat or the Gates of the Alauite Royal Palace in Fes. The city of Casablanca, one of the largest, features structures and exciting culture from the country’s myriad past, including influences of French, Berber, and Spanish and, of course, both modern and historic Moroccan. Bangkok is not just the capital of Thailand, it is also the religious heart of this deeply Buddhist country and home to the Thai royal family. Any trip to the city should definitely take in some of the 400 or so Buddhist temples. The reclining Buddha statue in Wat Pho is 15 metres high, 43 metres long and covered in gold leaf. Visitors who prefer a bit of sun and pampering should head for the southern island of Phuket. It is a world-class centre for water sports, including scuba diving and windsurfing, and offers some of the finest spa experiences imaginable. Canada’s cities couldn’t be more different from each other. Toronto with its high-rise skyline is a thriving centre of business. Montreal is the nation’s entertainment capital and has an old-world charm. Vancouver, in the West, is a thriving port and a centre for whale watching. Edmonton is thousands of miles from the sea – a gateway to the mountains of Alberta. Beyond the cities, Canada is a hiking, skiing, biking and climbing heaven. The opportunities for adventure are limitless. But for indoor excitement, just head to your nearest ice hockey stadium and experience the nation’s fast-moving favourite sport. Think you know all about holidays in the USA? Think again. There is a whole country of hidden surprises to discover. Why not check out the amazing harvest festivals of Louisiana? You can get moving to some Cajun music and celebrate the water melon, or the pumpkin, or whatever the local crop is. Or maybe you'd prefer the Villa Vizcaya in Miami – a luxurious mansion built by 1920s industrialist James Deering. It includes a large Italian Renaissance garden and a cavernous underground pool. Talk about The Great Gatsby! Or why not tour some of Chicago’s many brewpubs? There are dozens of them in the city, each selling its own distinctive beer.